There’s one thing I had to vent about this movie. Why do they have to kill off Agent Phil Coulson? They could have killed Cobie Smulders’ character Agent Maria Hill instead. Clark Gregg’s character Phil Coulson was the anchor on all the Marvel comic superhero movies. This movie was long. At times, it dragged trying to set the background on all the characters. Fans should already be able to pick the story line quickly, therefore, the introductions are not required especially Pepper Potts and Jane Foster appearances. I absolutely loved Tony Stark’s snarky comments and Hulk’s smashing. 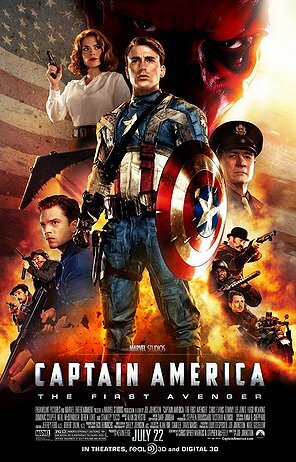 Captain American doesn’t have much room to explore, with that said, I can’t wait for Captain America 2 movie. I can do without Thor. Chris Hemsworth just doesn’t sit well with me. Now, I am scared that he will ruin the next movie for me, Snow White and the Huntsman. I guess I have high expectations on the movie and was sorely disappointed. With all the comic theme movies out this summer, this is one of the best so far and was able to stand side-by-side with X-Men: First Class. It has been almost three weeks since my last movie, Transformers 3. I love movies that incorporate history into its plot. Captain America added WWII flavor and it was delicious. It was not trying to be comedy unlike Green Lantern and Transformers. The action and drama was hitting the notes. The CGI was immaculate. I can even look past the dragging in the middle. Chris Evans was perfect cast for Captain America even though the rumor has it that he turned down the role at least three times. I need to stop drooling over his perfectly molded physique. The Steve Rogers character Chris Evans played was a good 180-degree turnaround from the playful Johnny Storm in Fantastic Four. The courageous scrawny looking Chris Evans in the beginning of the movie was playing into audience’s heart. Hugo Weaving’s performance in Matrix as Agent Smith was so powerful that it still has some leftover in Red Skull. 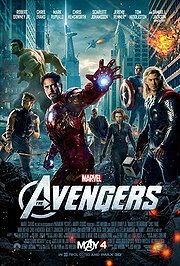 Samuel L. Jackson cameo at the end as Nick Fury brought more anticipation for The Avengers coming next summer in 2012. I can’t hardly wait and I will definitely be in line on the first opening day.